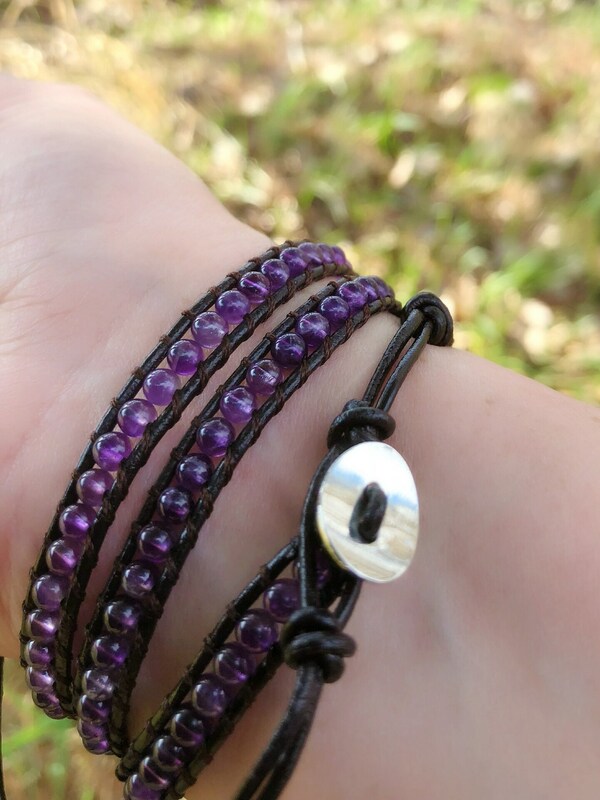 Handmade amethyst wrap bracelet. 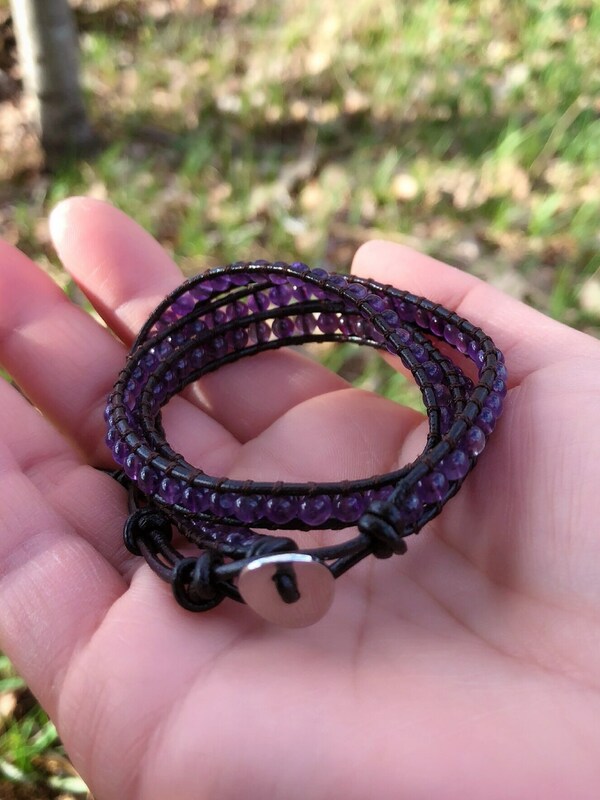 Made with 4mm genuine amethyst beads, brown leather, and an adjustable button style closure. Fits any size wrist. 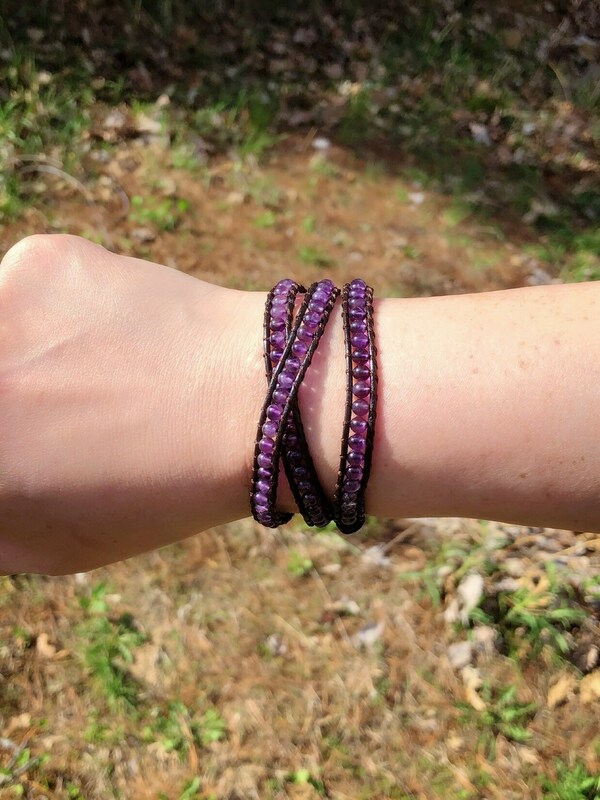 Full length of bracelet is 25”, beaded portion is 21”. 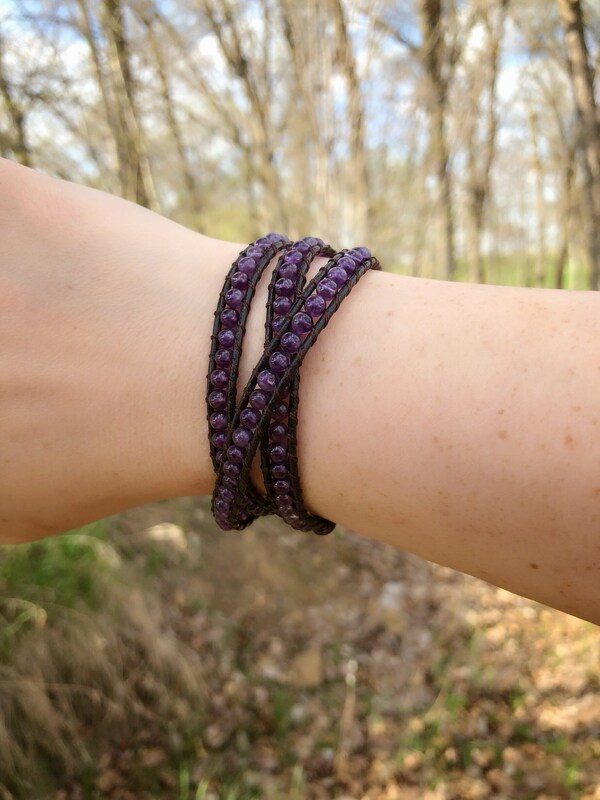 Lovely bracelet and very well made!